Are these new sparkly inks safe for my vintage pens? If you want to be really, really safe, then putting inks like Waterman or Sheaffer in your vintage pens is best. As there is shimmery, or gold/silver particles ink these newer inks, it can reduce flow if the ink dries out in your pen. 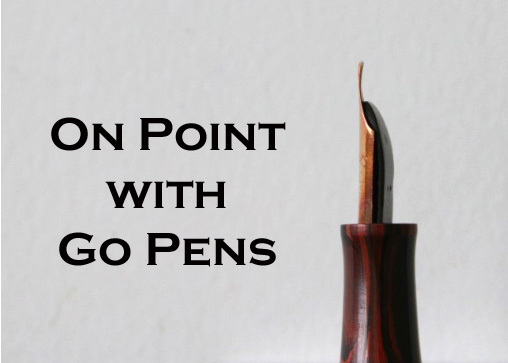 It can also be more difficult to clean out of pens that use sacs – the particles may stick to the inside of the sac, and flushing these pens in general can take time. It’s probably best to use these inks in pens you can clean thoroughly and soak. I’ve seen fountain pen users put these inks in vintage pens without issue, but I would do so with caution. This entry was posted in Vintage Pens and tagged Inks, On Point. Bookmark the permalink. Follow any comments here with the RSS feed for this post. Post a comment or leave a trackback: Trackback URL.